Trip Mission – Throughout the history of salvation, many incredible women from all walks of life have answered the call to become followers of Christ. 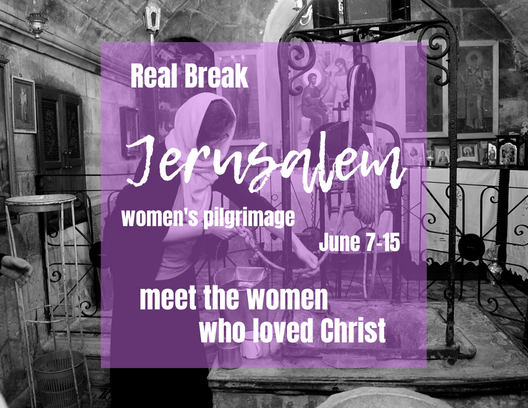 This year, OCF is offering a women’s pilgrimage to the Holy Land to walk the footsteps of Christ and also meet many of these women who loved our Lord. Not only is this the spiritual opportunity of a lifetime, but the ladies on the trip will have an opportunity to contemplate how women throughout history have lived out their vocation and how we as women today can follow their example. Pilgrims will visit many sites important to the life of our Most Holy Mother, the Theotokos, including her birthplace, the site of the Annunciation, the site of the Nativity, Cana, where Christ performed His first miracle through her intercessions, the place from where she watched the crucifixion of her Son, and her burial place. Pilgrims will also visit the towns of St. Mary Magdalene and of Sts. Mary and Martha. 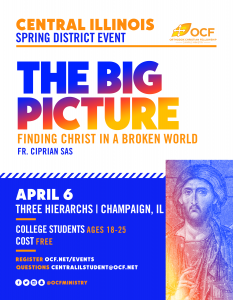 In addition, they will visit two sites from the life of St. Mary of Egypt, the Monastery of St. Melanie where her relics are buried, many churches originally built by St. Helen, and the monastery where St. Elizabeth the New Martyr and St. Barbara the Nun are buried. Along the way, the pilgrims will meet the “living stones” of the Holy Land, the local Christian population–meeting some incredible women who continue to answer Christ’s call each in their own way.